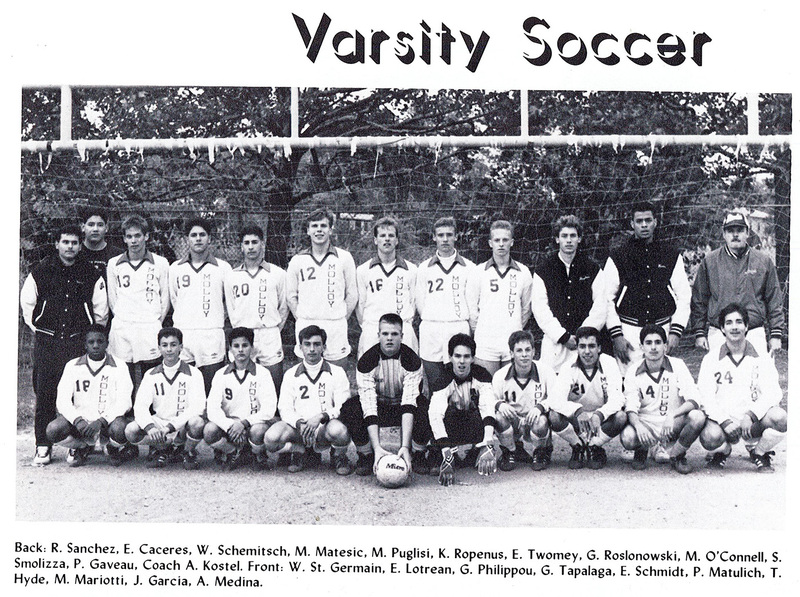 Contest Details: Be the first to name at least 3 people in the photo above and you win a Molloy t-shirt! Email jsommo@molloyhs.org and include your name, address & shirt size. Winners will be announced in the following issue, and answers will be displayed as captions in a photo featured below.. Congrats to our latest winner: Kevin Fitzpatrick ’89! Stanners are invited to watch the Online Lenten Retreat series presented by Marist Young Adults USA. The video links for weeks 1-4 are below. The latest video features Christine Demetillo, a graduate of Roselle Catholic. Now that Lent has begun, as Marists of Champagnat let’s turn our focus on Mary and her relationship with Jesus and the Marist community and institutions. Marcellin himself, aware of his personal limitations and realizing that his newly founded community was growing quickly, entrusted all of us to Mary when he called her “Our Ordinary Resource” …. “Go to her whenever you are in need,” he told the brothers. Today, in a church facing challenges, let us face the task of our own spiritual renewal during this period of Lent. Certainly, we can take pride in the fact that with God’s grace we have come a long way on our spiritual journey, but we must be aware that an equally difficult path lies ahead. The work of preparing our Marist Life for a new world has been hampered at times by half-commitments, self-preoccupation, and a reluctance to change. The model of Mary at the Annunciation presents a sharp contrast to these ways of thinking and acting. Her commitment was whole-hearted, her spirit open to God’s will, her ability to change is a model for us to imitate. We can assume also that once God’s messenger moved on, that doubt and questions did not disappear. What would make us believe that our situation should be any different? By engaging Mary in the work of renewal as a fellow pilgrim and guide, we will not only be enlisting her aid, but also hopefully taking on her spirit of faith and openness to God’s will. Let us not take this step, however, unless we are willing to deal with its consequences. For if we express to the mother of Jesus our keen desire to work for the full renewal of our Marist Life, chances are that she will accept our offer. The question remains: What should our relationship with Mary look like in the 21st century? I would like to have this formidable woman of faith in my life in a way that makes sense to me as an adult. In a male dominated Church, we have not always considered the reality of women in the church. This resulted in an unrealistic image of Mary as the “ideal woman” missing entirely the reality of Mary as mother of Jesus and the young girl from Nazareth. The genuine life of Mary forces us to follow her through the dusty paths of her native Galilee; to draw wrinkles on her face, put an apron over the immaculate robe, see her drawing water from the well with the other women at the well, watching her as she kneads the flour to make bread, breast feeding her son, patching old cloths, and washing the floor. The reality is that Mary was unschooled, poor and powerless, promised in marriage, and living in an obscure village in an occupied country. IN SPITE OF ALL THIS: Mary knew how to listen attentively to God’s messenger with a generous heart. Think of the ramifications of her Fiat. Now formulate for yourself an image of Mary that you can relate to and talk to as well. Read about Stanners currently making headlines! Since 1892, the gifts of grateful alumni, proud parents, and like-minded friends have allowed Archbishop Molloy High School to become a premier college preparatory school rooted in faith and taught in the humble Marist traditions. 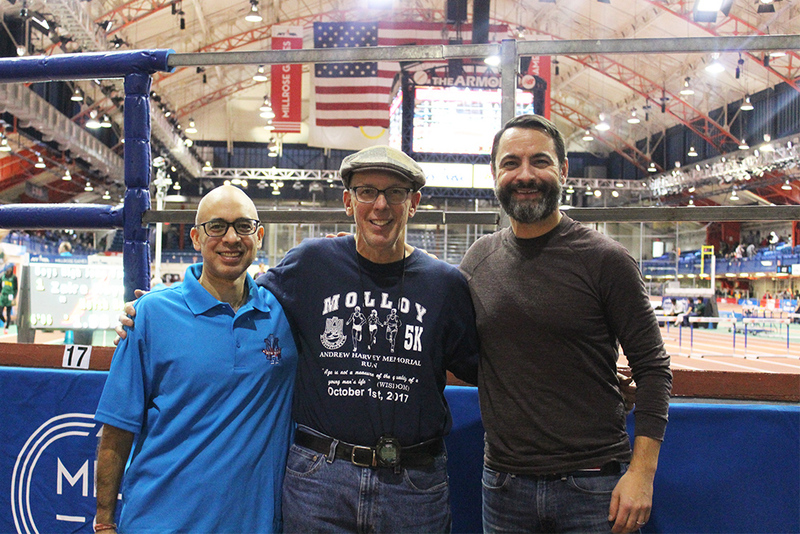 Gifts made through the Fund For Molloy provide opportunities for the Stanner family to support and advance our mission and connect the generosity of our alumni, parents, and friends with areas of need around Molloy. From scholarships to student research; campus beautification to student life activities; faculty support to capital projects, your support provides the resources necessary to ensure that our present is secure and our future remains bright. Without you, the traditions, purpose, values, and outstanding academics and athletics we provide would not exist. We are truly thankful for your commitment to our mission. Get connected with Molloy’s professional alumni networks! 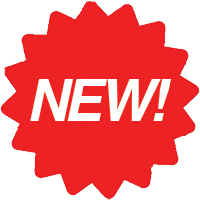 Follow us on LinkedIn.com or contact us at (718) 441-9210 for more information. The Stanner Alumni Center works with alumni to host events, spread news and promote Stanner businesses. 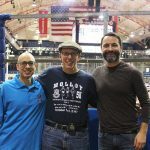 If you have a personal or professional accomplishment to your credit, or any Molloy or alumni news that you would like us to include in The Beehive, please share it! We hope you will keep us updated on your latest Stanner stories. 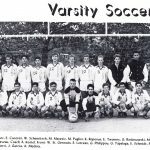 Email alumni@molloyhs.org. Molloy To Induct Five into Stanner Hall of Fame; Dedicate Classrooms to Diorio, Gannon. Dinner Set for March 23rd. 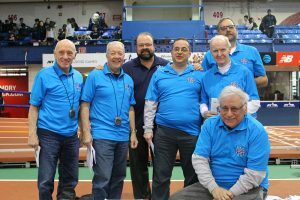 Brother Patrick Hogan, FMS — One of the most recognizable and influential Marist Brothers in Molloy history, Br. Patrick Hogan, known by many as Br. Pat, dedicated over 55 years of service to Stanners as a teacher, coach, guidance counselor, volunteer, alumni director, alumni spiritual director, and friend. 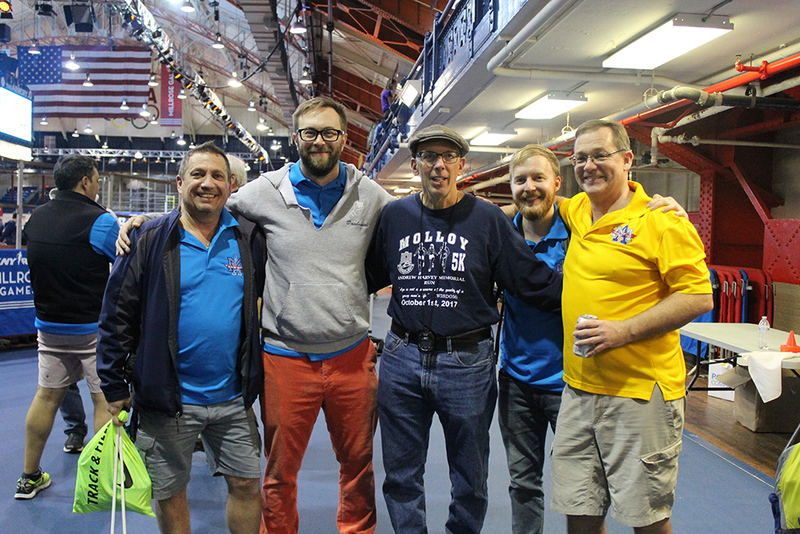 He has impacted generations of Stanners both in and out of the classroom and has created a legacy of service at Esopus through his work at camps for the deaf, adults with disabilities, children with Down’s syndrome, and inner-city youth. In retirement, Br. 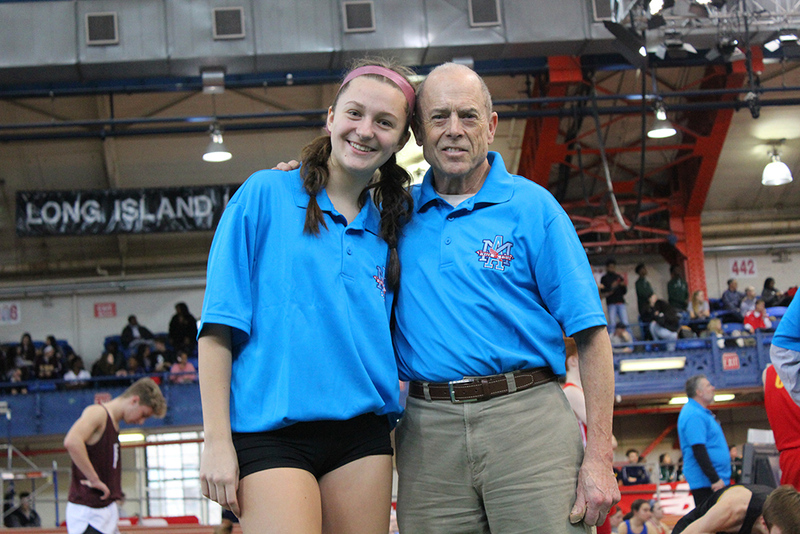 Pat continues to spend each day at Molloy bringing a smile to each teacher and student he encounters. 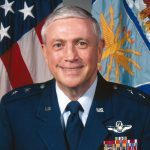 Major General Patrick Gallagher ’64 (USAF) — After 39 years in the US Air Force, Maj. Gen. Patrick Gallagher retired as the Senior Mobilization Assistant to the Deputy Chief of Staff for Plans and Programs at Air Force Headquarters in Washington, D.C. 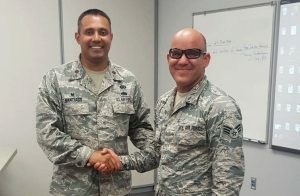 This directorate, reporting to the Secretary of the Air Force and Chief of Staff, develops, integrates, evaluates, and analyzes the USAF Future Years Defense Program, which exceeds $682 billion, and the Air Force Long Range Plan to support national security objectives and military strategy. Earlier in his career, with over 5,000 flying hours, Maj. Gen. Gallagher commanded a squadron and served as a deputy group commander. He served in a broad range of positions in and out of acquisition and operations. In his civilian occupation, he was employed as a commercial airline pilot. 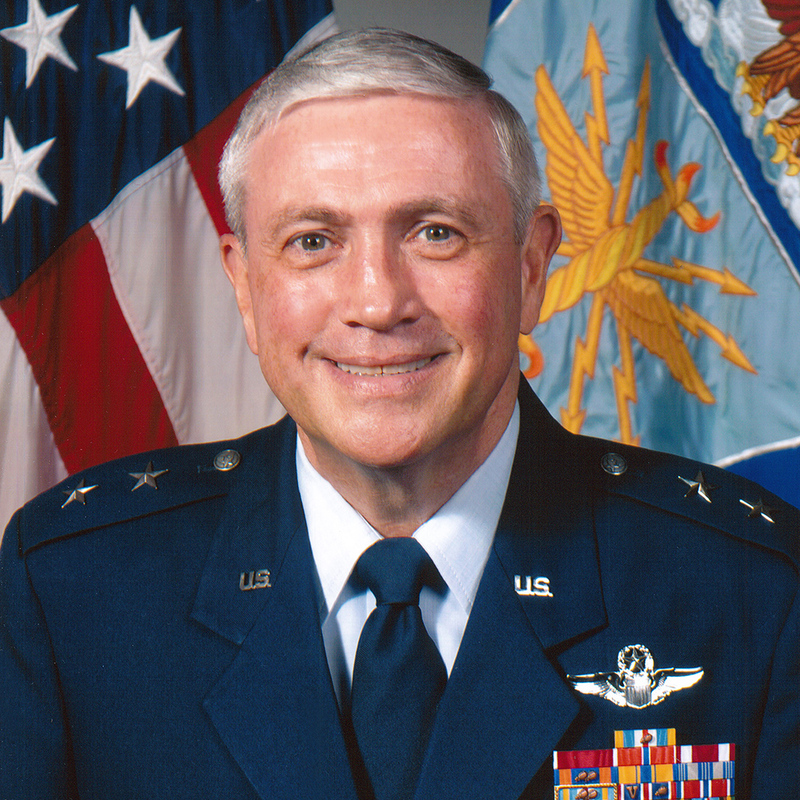 Maj. Gen. Gallagher is a recipient of numerous special awards including but not limited to: Distinguished Service Medal, Legion of Merit, Bronze Star Medal, Meritorious Service Medal, Air Force Commendation Medal, Defense Superior Service Medal w/ Oak Leaf Cluster. 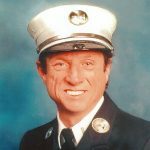 Lt. John “Jack” Gremse ’68 (FDNY) (Posthumously) — John “Jack” Gremse first joined the ranks of the FDNY in 1978. He served throughout NYC including in Williamsburg, Brooklyn, and eventually worked his way up to a spot at Ladder 126 in South Jamaica. Throughout his tenure with the FDNY, Jack earned numerous citations for bravery and heroism. 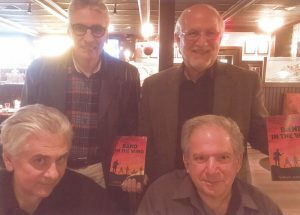 He was never boastful about these honors and was known to simply say, “I was just doing my job.” After 20 years with the FDNY, Jack took the lieutenant’s test. While those results were pending, Jack joined many fellow firefighters and other city agencies in responding to the World Trade Center on September 11, 2001. His promotion to Lieutenant took place just five days later during a time of great mourning across the city. Lt. Gremse vowed to serve in his new role with the utmost dignity out of respect for those who lost their lives on September 11th. He went on to serve with Engine 302, Ladder 155 in Jamaica until 2008, when he was forced into early retirement due to 9/11 related cancer. Sadly, Lt. Gremse passed away on September 16, 2014 as a result of that illness. Lt. Gremse’s memory is honored with a plaque at Engine 302, as well as on the Memorial Wall at FDNY Headquarters in Brooklyn. 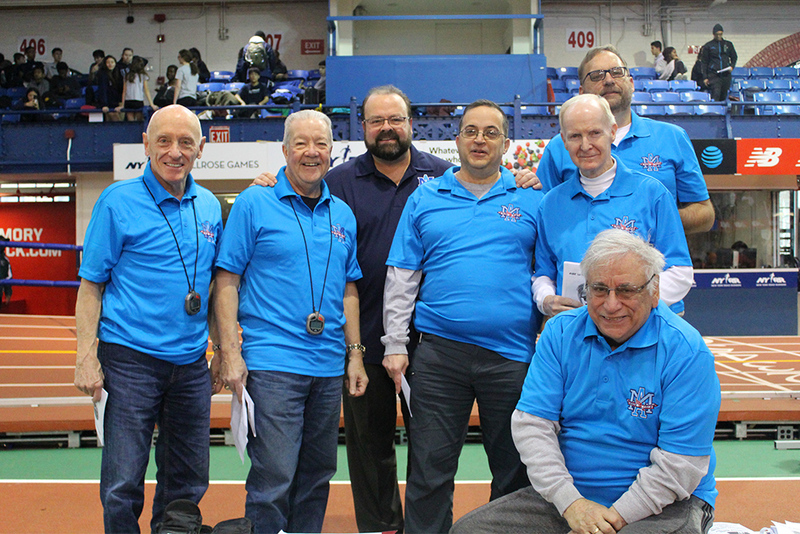 Members of his Class of 1968 led an effort to rename the Freshman Boys 55M Dash at Stanner Games in his honor. 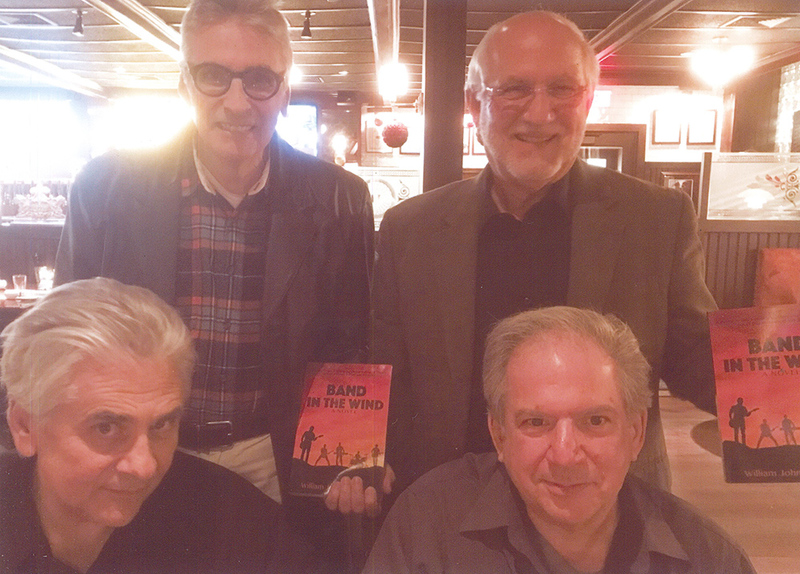 Lt. Gremse’s classmates remain in touch with his wife, Kathy, and visit her at the Gremse family home every summer to reminisce and remember Jack. 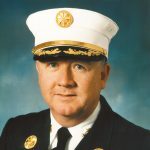 Chief Peter Hayden ’64 (FDNY) — A New York City firefighter for 37 years, Peter Hayden devoted his life and career to the safety of all city residents and their families. Hayden rose through the ranks of the FDNY and retired as Chief of Department – the highest uniformed officer in the Fire Department. His courageous actions on September 11, 2001, and his tireless efforts in the days after the tragedy, further established his legacy in the annals of NYC history. A plaque honors Chief Hayden in the statehouse in Albany, NY. “Pete was present on the pile of smoldering rubble every day for over six months to make sure that every effort was made to recover, and account for, the missing and the dead,” said friend Paul Hickey ’64 in his nomination letter. Several years ago, Chief Hayden was honored with the President’s Award from Marist College, his alma mater, for his professionalism and dedication to the citizens of New York. Whitey Rigsby ’74 — A dual-sport athlete, Whitey Rigsby played basketball under the leadership of Coach Jack Curran. As a junior, he helped his basketball squad win the CHSAA City Championship. The next year he helped lead the Stanners to an 80-52 rout, defending Molloy’s title and becoming tournament MVP. After Molloy, Rigsby attended Villanova University, where he played Division I basketball under Rollie Massimino. Rigsby was a three-year starter and, upon graduation, held the university’s record for most career steals and was second in career assists. As team captain in senior year, Rigsby led Villanova to the NCAA Elite Eight in 1978. Later in his professional career, Rigsby returned to Villanova as the “Voice of Wildcat Basketball.” He has served as a radio broadcaster for the team for 39 years and has called three NCAA championships (1985, 2016, 2018). 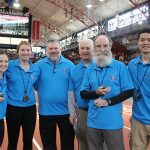 Beyond the microphone, Rigsby has supported Villanova’s 23 intercollegiate sports programs as a Senior Major Gifts Officer, raising millions of dollars for college athletes since 2000. His successes as an athlete, broadcaster, and his commitment to helping college athletes earned him induction into the Villanova Hall of Fame. 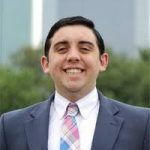 Rigsby is also an avid volunteer, dedicating countless hours of service as a little league baseball coach and CYO basketball coach. In addition to our Hall of Fame inductions, Molloy will dedicate classrooms to two legacy teachers who retired in 2018: Mr. John Diorio and Ms. Mary Pat Gannon. Former students of Mr. Diorio and Ms. Gannon are invited to attend the evening’s festivities and support our beloved teachers as their classrooms each receive a plaque honoring their decades of service to Molloy. Support our newest Stanner Hall of Fame Class during our induction dinner on Saturday, March 23rd. Click the link above to register online. Tickets are $100 per person. When registering, please be sure to note which Hall of Famer you are supporting with your attendance. Our program will include a prayer service, cocktail hour, dinner, and brief presentations for each Hall of Fame inductee. Contact Alumni Development Officer Matt Rizzotti ’04 at mrizzotti@molloyhs.org or 718.441.9210 for more information. Archbishop Molloy High School is proud to announce its first annual Fashion Show. This event will be the initial fundraiser for Molloy’s Girls’ Leadership Scholarships. Since Molloy first admitted young women in 2000, 15 exceptional coed classes have joined the ranks of Stanner Alumni. Many stellar alumnae have burnished Molloy’s reputation for excellence, attending and graduating from some of the most prestigious colleges in the world after receiving millions of dollars in academic scholarships. Our alumnae continue to make their mark in a variety of fields, from law and medicine, to business and government, to education and the arts. The Girls’ Leadership Scholarships will enrich the school community by helping attract the best and brightest female students to our Molloy family. Recipients will benefit from Molloy’s mission to provide its students with Christian values based in the Marist tradition, critical and analytical thinking, and leadership skills that serve all our students “Not for school, but for life.” You can empower our young women, and the entire Molloy community, by attending the Fashion Show. The Fashion Show will include a DJ, dancing, a full brunch, unlimited champagne, red and white wine for guests 21 and over. Valet parking and coat check are included at no extra cost. There will also be a Silent Auction, Gift Basket Raffles, and a 50/50 drawing. See our registration form (click link above) for ticket prices. We look forward to celebrating with our community on March 24th as we support our Stanner Women. 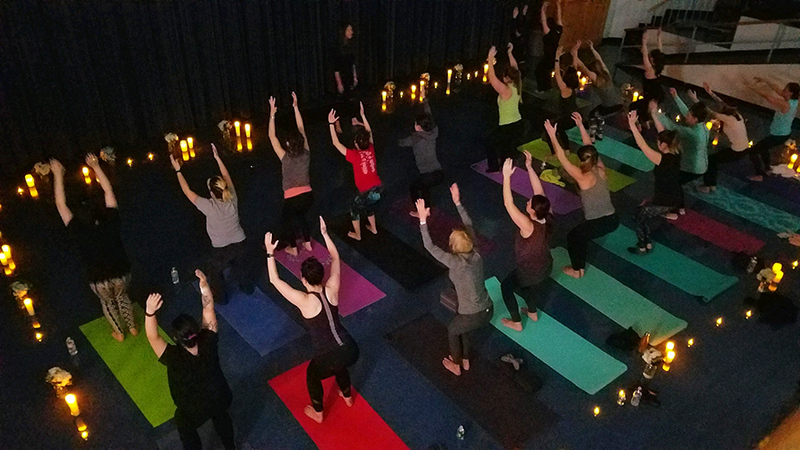 Alumnae Yoga / Meditation – 1 WEEK AWAY! We are excited to host our second Alumnae Yoga & Meditation event on January 26th. 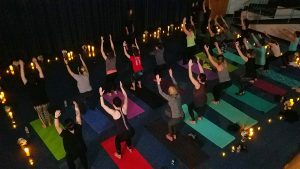 Join Jennifer Kelleher ’04, a professional instructor at Body Love by Jen, for a full-length yoga and meditation session. Jen’s class is suitable for both yoga newcomers and more experienced yoga enthusiasts. Participants are encouraged to bring their own yoga mat and a water bottle to stay hydrated (water will also be provided). *NOTE: The start time has been updated to 11:00 AM. Contact Matt Rizzotti ’04 (email above) for more information. All proceeds from this event will support the Karina Vetrano Memorial Scholarship. 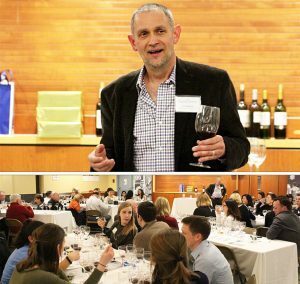 Wine Tasting with Jim Sheehan – 3 WEEKS AWAY! Join us on February 7, 2019 for a unique wine tasting experience led by Molloy’s in-house wine expert Mr. Jim Sheehan ’75. Participants will enjoy small bites and sample five to six different wines Italian wines chosen by Jim. You will learn how to evaluate each wine based on appearance, taste, smell, and other defining characteristics. We welcome alumni, current parents, family members and friends (ages 21+) to this special evening. Contact Joe Sommo ’03 with any questions. 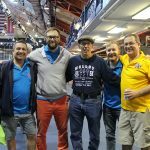 Badges Night / AMHS vs. CTK – 3 WEEKS AWAY! 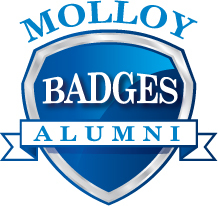 Members of our Molloy Badges Alumni Network and friends are invited to an evening reception beginning at 6:00 PM on February 8, 2019. Cost of admission includes food, soft drinks, and adult beverages as well as admission to the Game of the Night in the Jack Curran Gymnasium. Catch the opening tipoff at 7:00PM from VIP seats as Molloy’s boys varsity basketball team faces off against rival Christ the King High School. Register online or contact Joe Sommo ’03 for more information. 33rd Jim Kinnier Stanner Golf Classic – SAVE THE DATE! Archbishop Molloy High School is proud to present the 33rd Annual Jim Kinnier Stanner Golf Classic on Monday, May 6, 2019. Since 1987, the Stanner Golf Classic has raised over $2 million in support of Molloy’s scholarship program, which impacts academically gifted students as well as those in need of critical financial support. Your participation makes a meaningful difference in the lives of our students. Find out how you can reserve a spot for your foursome, sponsor a journal ad, purchase raffle tickets, make a gift, or donate auction prizes! Contact Alumni Development Officer Matt Rizzotti ’04 for all the details (see information above). 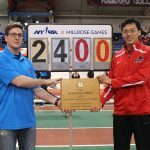 Congratulations to Molloy’s Track and Field Team and all coaches and alumni/family volunteers for their efforts in making the 25th Annual Stanner Games an amazing success. 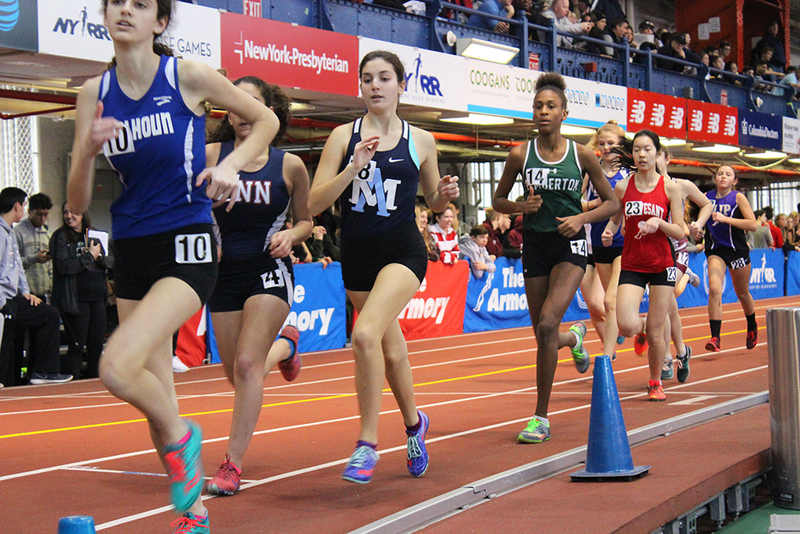 Nearly 140 school competed in the meet. 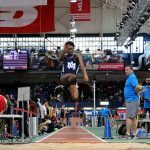 Special recognition is due to sophomore Ike Anage ‘21, whose 2nd place varsity long jump of 21’ 8.25 set a new Molloy sophomore record. Ike also won the Sophomore 55M Dash. 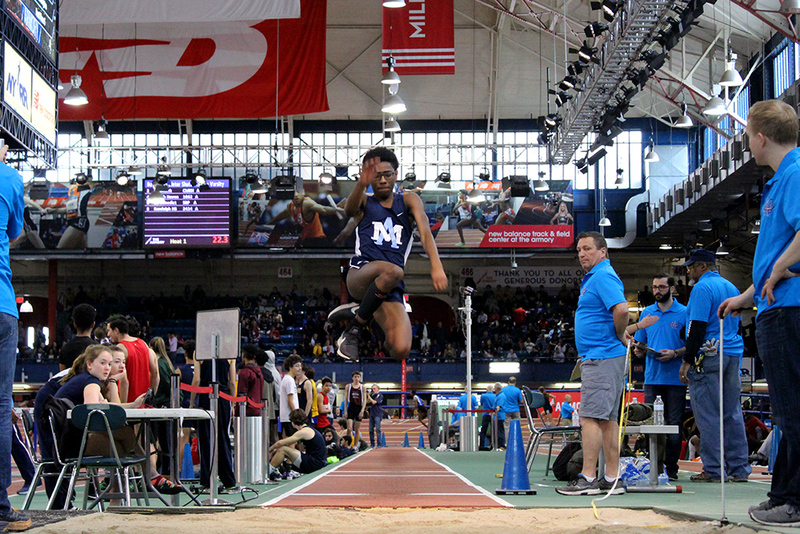 The boys shuttle hurdle relay team, including Justin Lance Hidalgo ‘19, Garrett Lavelle ‘19, Kamau Hawthorne ’20, and Nick Dacosta ’20, won their event with a time of 31.73 (national championship qualifier). Peter Meehan ’20 improved his high jump best to 6’4”, finishing in 3rd place. 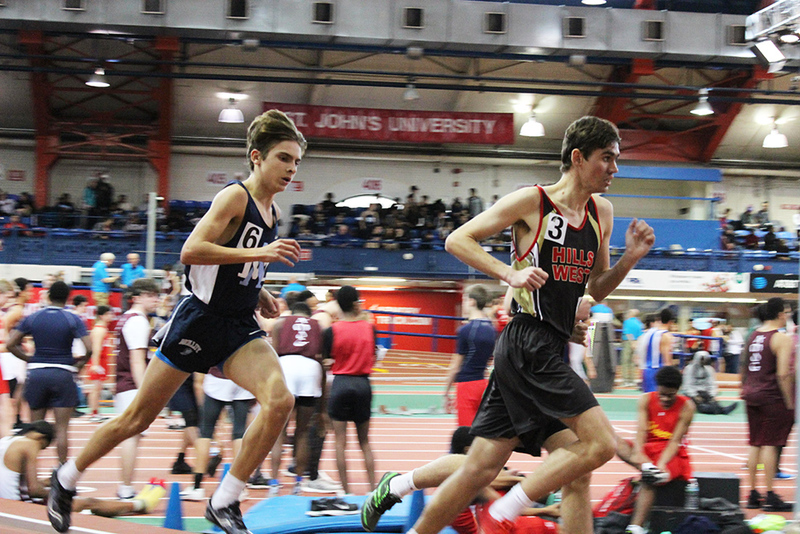 Senior James Loeffel ‘19 finished 6th in the 3200 with a personal best of 9:45.81. Freshman Abigail Jefferies ’22 finished in 5th place in varsity shot put with 32’2.5 7. 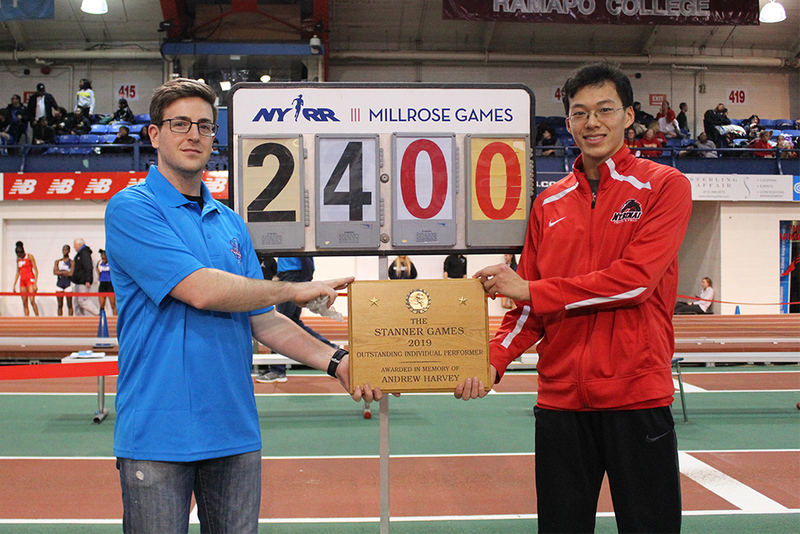 Stanner Games also saw two performances that are leading the nation: Boys Long Jump, 24’0, Ken Wei of Mt. 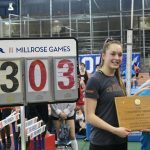 Sinai, and Girls Pole Vault, 13’3.5, Kaeli Thompson of Warwick Valley. 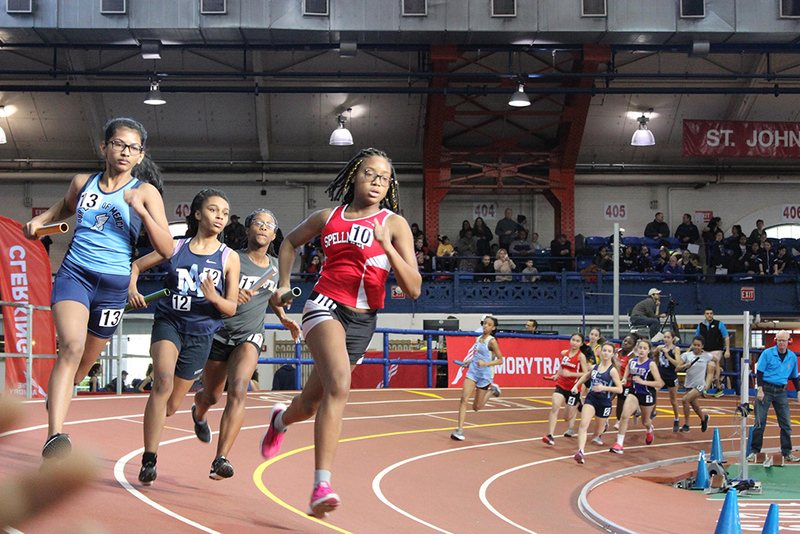 Lastly, Stanner Games, which features thousands of athletes, finished 25 minutes early – a true testament to Molloy’s coaches and volunteers who work so hard to make this large-scale meet run at maximum efficiency. Photos by Christelle Derisme ’20, Daniel Ramirez ’20, and Marina Tsimisiris ’21. 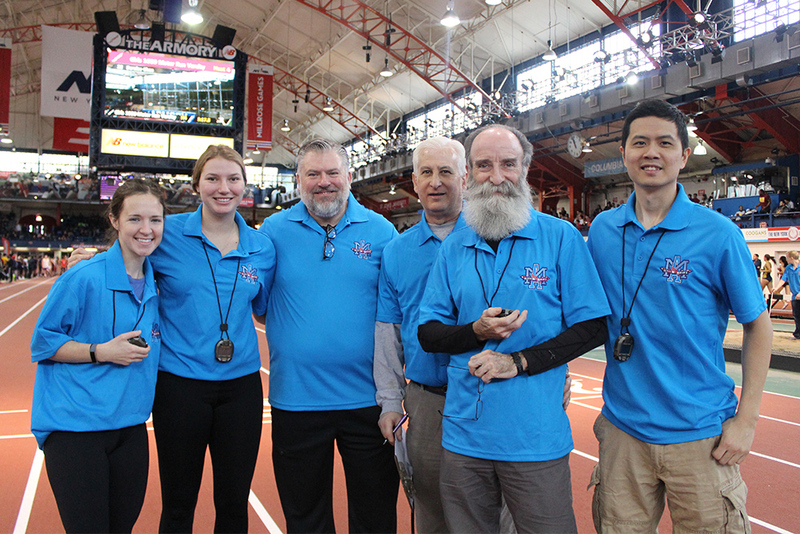 The sprinting team at Molloy, coached by Mr. Gallagher, lives up to the school’s motto “Not for school, but for life”. The team is not just a team, it goes beyond that, creating an escape for some where they can be themselves, and providing a place to be better, both mentally and physically. “It’s sort of like a brotherhood,” said Ashavdeep Sodhi (Class of 2021) when asked about what he enjoys most about the sprinting team. 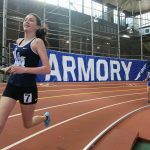 The members of the team exercise together every day, from Monday to Thursday, sharing pain, laughs, life lessons, and memories that will go beyond high school. The workouts are always dynamic and unique, and thus no practices are alike. One day the workout can consist of longer distances to improve endurance, while other days the workout can consist of small bursts of speed, such as down-starts and/or 100m dashes, to improve one’s explosiveness and acceleration. The team wishes to dissipate all the competition that is being presented from the other schools this season. 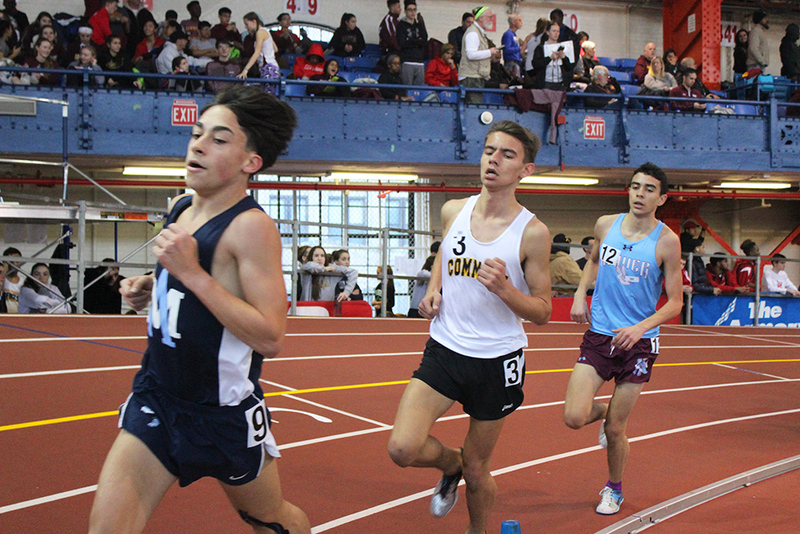 Tudor Radu and Conor Hastings (both Class of 2020) are on a path of creating a lethal combination, as shown by the results from the first two meets. When combined with other talented runners such as Kamau Hawthorne (Class of 2020, Hurdles), they will be unstoppable. 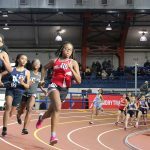 The 200-meter Varsity team can run the 800-meter relay in about 1 minute and 34 seconds, thus closing the gap between the school record and their performance. 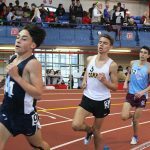 The 400-meter Varsity team can run the 1600-meter relay in about 3 minutes and 38 seconds, thus placing Molloy competitively near the top 5 in the B/Q CHSAA. The best part is that the teams are composed of Juniors, which means that they have another full year to get better. The underclassmen are beginning to show their true colors too, with Jayden Rodriguez (Class of 2022) and Eric Akosah (Class of 2021) creating a competitive duo as well. 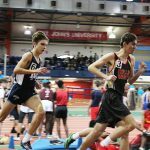 Jayden has achieved first place in the 600m dash (Fordham on December 15), thus providing Eric with some fierce competition when it comes to sprinting. 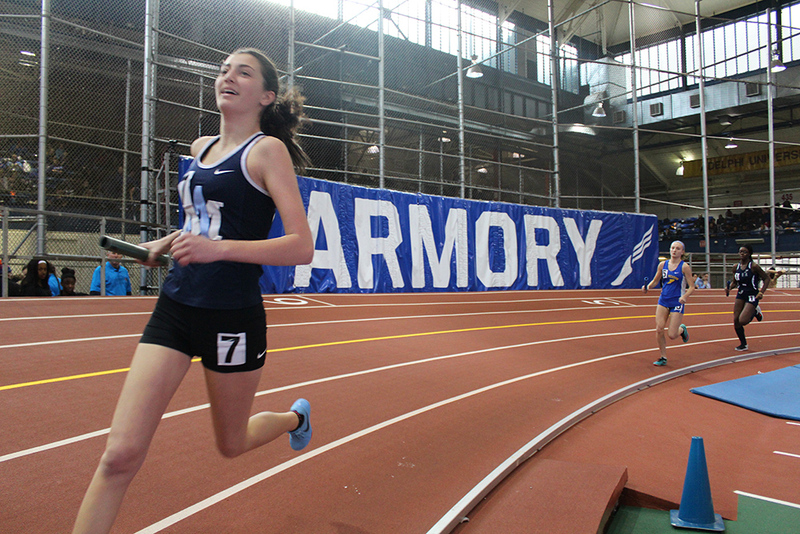 Despite Molloy athletes making running look easy, the truth is that it is not easy at all. What people fail to comprehend is what goes into running: tears, sweat, and many knockbacks. 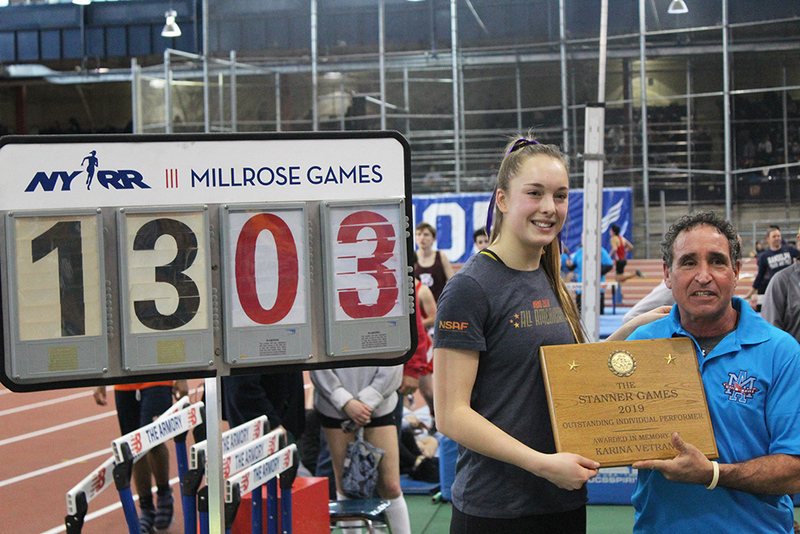 For a sprinter or any athlete, “Winning isn’t everything, but it is pretty close,” said Coach Gambino. The sprinting team’s athletes have adopted Coach Gambino’s famous quote officially since last year and have applied it ever since. With fresh talent on the way, failure is not an option, and the best feeling in the world is knowing that you have succeeded. Joining the sprinting team does not only give you a chance to work out, but it also gives you the opportunity to unfurl your sail into the world. 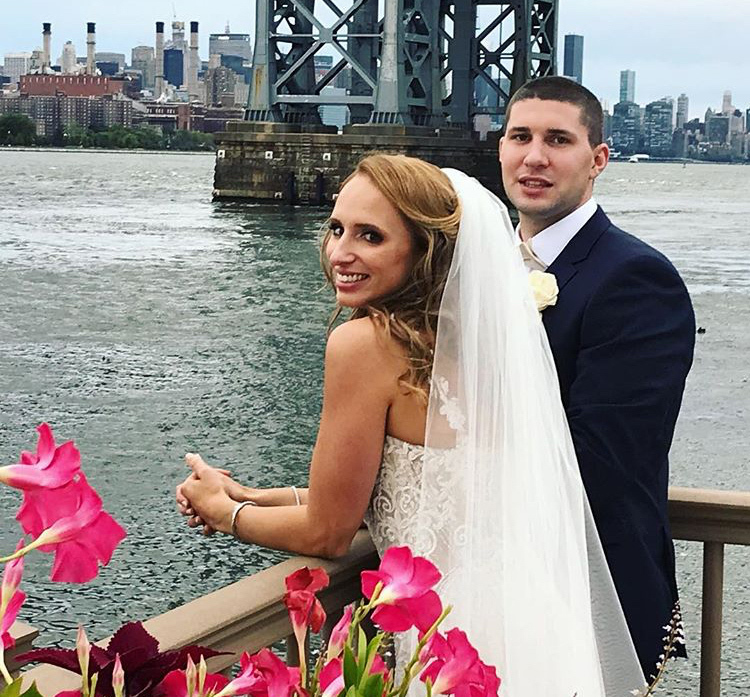 Congratulations to Stephanie Halvax ’09 and Daniel Waters ’09, who were married at Sacred Heart Church in Glendale On September 22, 2018. Stephanie’s sister, Victoria Halvax ‘12, served as Maid of Honor. In November, the Boston Lyric Opera announced that it planned to establish an archive of set designs previously created for them by William Fregosi ’62. The Opera decided to also include his work for the other, smaller opera and theater companies for which he had designed from 1970 to 2007. In 1975, the Massachusetts Institute of Technology offered William a faculty position as the Technical Coordinator for a brand-new Theater Arts Department. As part of the arrangement, William would design Institute productions, teach Scenic Design, and could still freelance in Boston. Among those freelance jobs, his favorites were display panels for the Dedication of the John F. Kennedy Presidential Library, the 50th Anniversary of the Boston Symphony Orchestra, and various elements for the visit of Pope John Paul II to Boston in 1979. William acted as consultant to several architects who were working on the design of theaters. His work was exhibited at the Boston Center for the Arts and the New England Theater Conference. He has lectured on opera from San Francisco to New York City. He retired from MIT in 2007 and moved to southern New Hampshire where his designs for an earth-sheltered solar house were realized by a local architect into a beautiful home. During this time, Molloy contacted him and invited him to be part of a Career Day, advising students interested in careers in the performing arts. William was delighted to find that a theater had been built at Molloy in 1987, and that there was a film course at his alma mater as well. 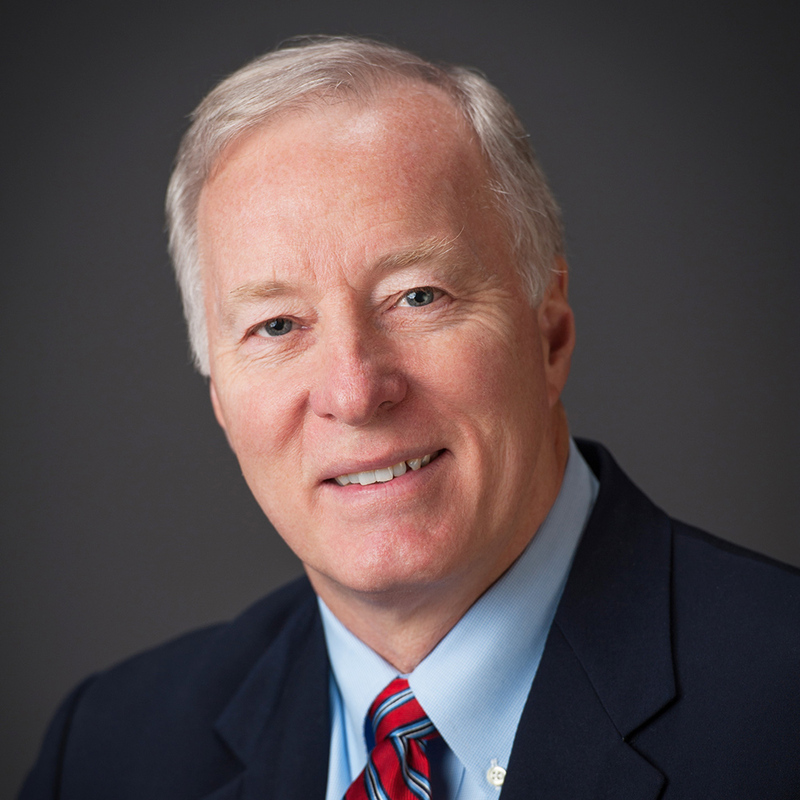 In his “retirement” William has served on the Board of Directors of Monadnock Music and its renowned summer Music Festival in Peterborough, NH, becoming Board Chairman in 2013. He is active with both his local Historical Society and the NH Seacoast Chapter of Citizens’ Climate Lobby, working toward ending the use of fossil fuels, and stopping climate change. (Pictured: Fregosi & his design for The Coronation of Poppea, which was the premiere performance of the Boston Lyric Opera, 1980). Eddie Krische ’13 is part of a delegation from the Marist Province of the USA that is participating in an International Gathering of Marist Youth in Guatemala from January 15-20. Eddie and his fellow delegates are participating under the motto Weaving Life. The delegation and over 160 other Marist young people will explore how to “weave dreams, hopes, realities, prayer, stories, journeys, and life while guided by the Marist spirit.” For more info about this international gathering visit www.weavinglife2019.org/. We are saddened to share the passing of Eugene Shannon ’49 in October 2018. 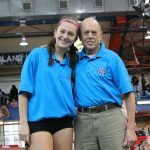 Mr. Shannon was a dedicated alumnus who once served as a member of Molloy’s School Board. He was a proud St. Ann’s graduate and a friend to many in our community. He will be dearly missed. Please keep Mr. Shannon and his family in your prayers. Please pray for the repose of the soul of Craig Moran ’70, who passed away on January 3rd.